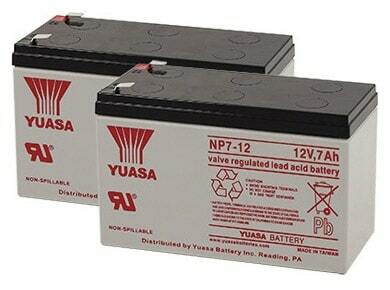 What is YUASA NP sealed lead acid battery? NP sealed lead acid battery is also called VRLA (valve regulated lead acid) battery ,which has negative charge absorbing design that has the advantages of maintenance free, anti-spilled. How are the battery storage and maintenance? 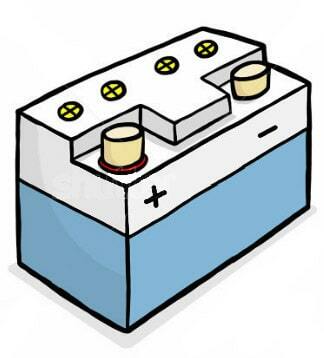 If the battery has been stored for a long time, please recharge the battery before using as the following below. Please make regular check the battery. If there is any cracking, deformation, acid leakage or other damages on the appearance of the battery, please replace the new one. If the battery is covered with dust or dirty when checking, please use damp cloth with moisture to clean the battery. Do not use any organic solvent or detergent (on the cloth) like gasoline, etc. to clean the battery. Although lead acid battery is not on the load when storing, battery would leak electricity though internal chemical reaction that cause capacity loss, which is called 'battery self-discharge'. What is the battery rated capacity (C20)? 'Capacity' is abbreviated as 'C', which is showed by ampere-hour(Ah) that multiplies discharge ampere(A) by discharge hour(h). Rated capacity is defined to 20 hour-rate(20HR), which is abbreviated as 'C20'. What are over-discharge and over-charge? 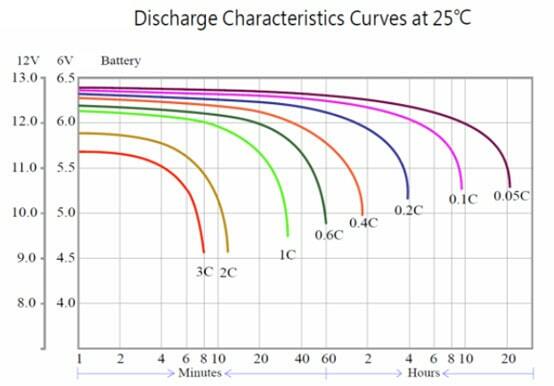 Over-discharge: When the battery is discharging lower than final discharge voltage, it would decrease battery capacity and deteriorate the battery. Over-charge: When the battery keeps charging even which is full-charged, it would decrease battery capacity and deteriorate the battery, too. DOD is the abbreviation of Depth Of Discharge. When the battery has reached specific voltage and time during certain discharging rate, DOD is 100%. For another example, when the battery has reached specific voltage and 1/2 period of time during certain discharging rate, DOD is 50%. What are standby use and cycle use? Standby use: The battery is the emergency power source that supplies suddenly blackout. e.g., emergency lights, UPS, communication devices, other backup power supplies, etc.. Cycle use: The battery is the power source on a regular basis. e.g., electric tools, notebooks, smartphones, etc..
What is the relation between capacity and temperature? Battery capacity is based on room temperature(25℃) and it would be affected by different temperature. 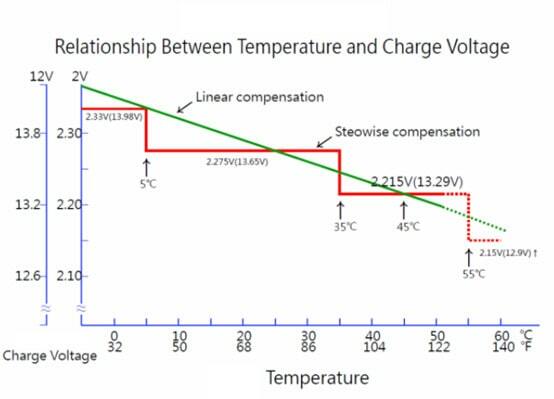 Higher temperature makes greater capacity; However, lower temperature makes smaller capacity.